Police in Dungannon are appealing for information following an incident of criminal damage in the Carnalea Terrace area of Coalisland on Monday 9 February. A window at a residential premises was broken sometime between 9am and 2pm. 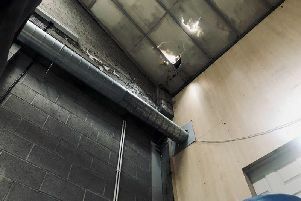 Inspector Keith Jamieson said: “I would ask anyone with any information about this incident to contact Dungannon Police Station on the non-emergency number 101, quoting reference number 5859215.